Highcroft Luxury Boarding Kennels and Cattery provides the ideal holiday home for your cats and dogs. 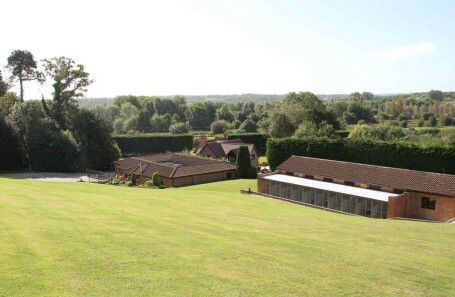 Set in six acres of grounds and surrounded by woodland and open fields, it provides the ideal setting for one of the finest boarding establishments in the country. Our boarding facilities are purpose built to the highest standards to ensure excellent levels of comfort, safety, hygiene and security. Our staff are dedicated to providing an enjoyable, fun environment. Their wealth of experience and caring nature, together with our facilities ensure we provide a professional, personal quality service. We are conveniently situated on the A4 between the village of Woolhampton and Thatcham, Berkshire providing easy access from Reading, Newbury, Tadley, Tilehurst, Pangbourne, Burghfield Common, Basingstoke and the surrounding villages. We pride ourselves on the individual care and attention provided to each of our guests. We work tirelessly to understand their personality, nature, and likes and dislikes. We use this information together with our experience to ensure that their stay with us is both comfortable and stimulating. It is our high ratio of professional staff to boarders that enables us to provide the individual care and attention which ensures that your pet’s stay is fun and enjoyable. Your pet is as important to us as they are to you. Our website enables you to view the excellent facilities that we offer in the comfort of your home. However, the best way to appreciate and see why Highcroft is different is to visit us in person. We will be proud to show you our facilities and delighted to meet you and have the opportunity to answer any questions you may have. You can visit us at anytime during our opening hours, no appointment is necessary. We operate under the licence 17/01747/LWA issued by West Berkshire District Council to Mandy Hall to board animals under the Animal Boarding Establishments Act 1963. We offer luxury boarding accommodation for your dog’s in two purpose-built kennel blocks. We provide a comfortable and secure luxury environment for your cat’s stay. We offer a professional cat and dog grooming service.